In January of 2006, Hylton Security Incorporated was born as a private security company to serve the needs of the Sacramento Sports Commission, and the Greater Sacramento Community. It didn't take long until Hylton was a name that even organizers could call on to provide a safe and secure environment for their patrons, staff, and property. Hylton now has over 100 ethnically diversified security officers, something we take pride in and has Branch offices in Redding and Oroville, as well as the main office in Sacramento. 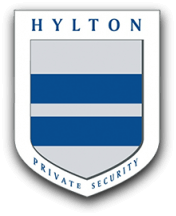 We are looking forward to expanding throughout Northern California and the Central Valley, as Hylton Security makes its presence known in different communities.